Say goodbye to crochet hooks scattered about your craft room — this hook caddy is here to save the day! 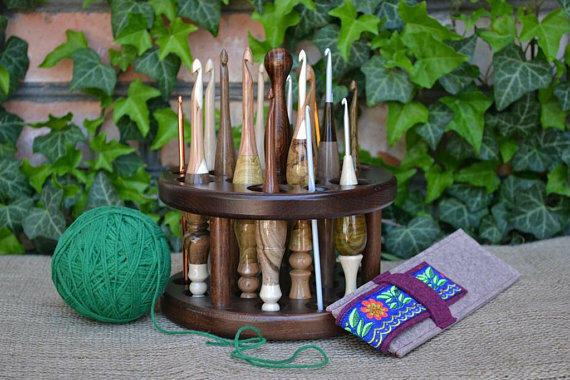 Handmade and beautifully crafted, this caddy will look right at home in your craft room with your hooks of all shapes and sizes. There’s also a removable carrying handle so you can transport your hooks with ease.